28 left in stock, Hurry! Please Note: Discounts will not be accepted on this item. Knotty Boy Natural Dreadlock Shampoos are hands-down our most popular hair care products for dreadheads. Know why? Not only are they 100% pure shampoo, as in, nothing in there but delicious saponified veggie oils, washing with it also helps tighten locks faster - and kills the (totally normal, nothing to worry about) itch and flakes that can occur from time to time. 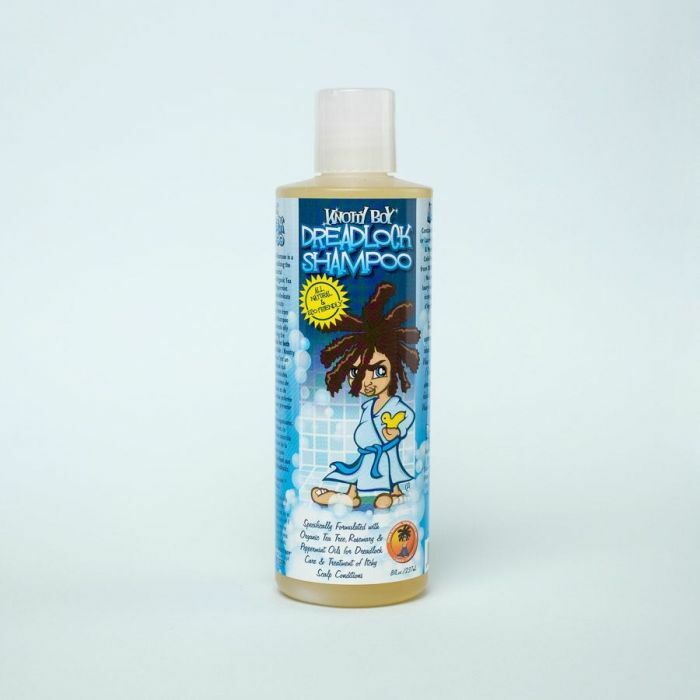 Unlike medicated dandruff shampoo which only masks the problems and allows them to return as soon as you stop using it, Knotty Boy Dread Shampoos actually nourish and restore stressed-out scalps back to health, and then keeps them healthy. "Dreads don't have to be dirty. Actually they don't even like being dirty. Keeping the hair super clean and free of conditioners and other residues that lubricate the hair is the fastest and healthiest way to dread."